Thou Shalt Not Change the Climate - Planet Aid, Inc.
Today, the Vatican made public a letter from the Pope—called an encyclical—on the environment. 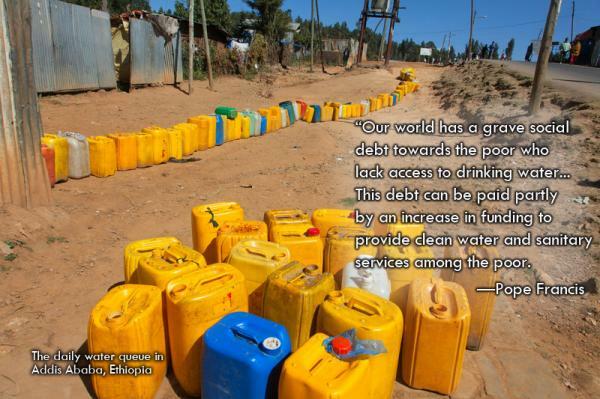 The letter calls on rich countries to take action to stop climate change and help the poor in the developing world cope with the associated impacts of drought, displacement, flooding, famine, and rising seas. 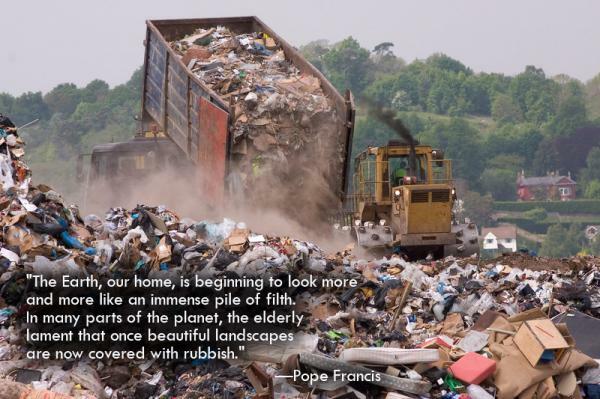 Entitled Laudato Si or Praised Be,* the encyclical accuses developed nations of a destructive "throwaway lifestyle," consuming resources without concern for the planet or the poor. The document also dispenses with climate change deniers, saying there is a "very consistent scientific consensus that we are experiencing a worrying warming of the climactic system." Laudato Si frames climate change in terms of our moral responsibility, identifying inaction on environmental progress as directly related to inertia in eliminating poverty. The Pope rejects the promise of a "technological fix" and instead calls for a new mindset and culture of solidarity to combat the threat. In publishing this letter, the Pope is aiming at creating momentum to influence the United Nations climate talks in Paris at the end of the year. The Pope has been critical of previous UN negotiations on climate change and their lack of progress. "The same mindset which stands in the way of making radical decisions to reverse the trend of global warming also stands in the way of achieving the goal of eliminating poverty." Climate change's moral imperative is what drives Planet Aid's work for the environment and for people. It is our hope that the Pope's encyclical will generate additional support and spur action to help those who need it most. Please make a donation today. *The title Laudato Si is taken from "The Canticle of the Creatures", a hymn by St. Francis of Assisi in praise of creation. The Argentine-born pope took his name from the 13th-century saint.